I was gifted with a bottle of Tequila Rose Strawberry Cream and looked for different ways to use it. 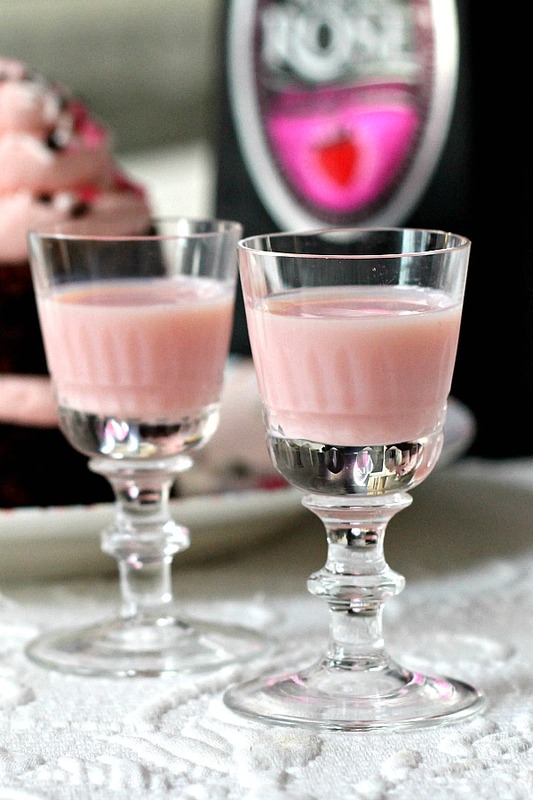 It is a very sweet, strawberry-flavored Mexican cream liqueur with a hint of tang. It can be described as tasting like melted strawberry ice cream. 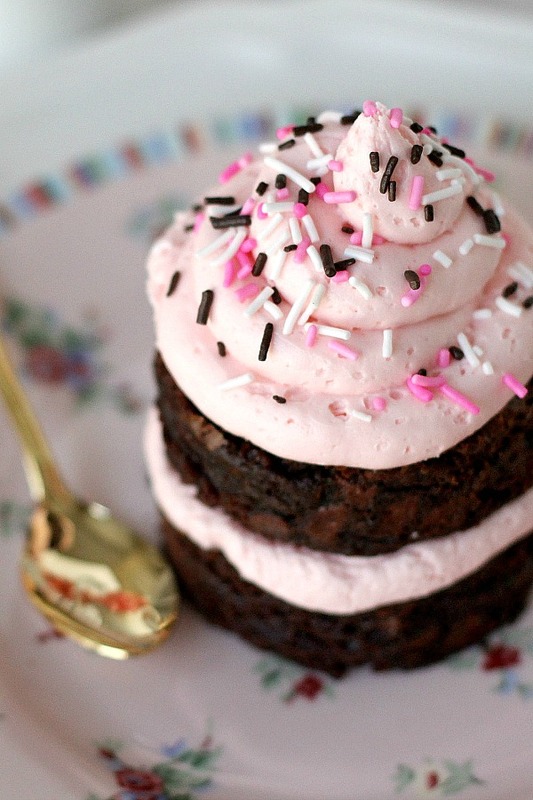 The strawberry flavor works well in frosting. In a large bowl, beat butter and cream cheese until well blended. Add confectioners’ sugar, Tequila, salt, and food coloring. Beat until creamy. Pipe onto cooled brownies or cupcakes. 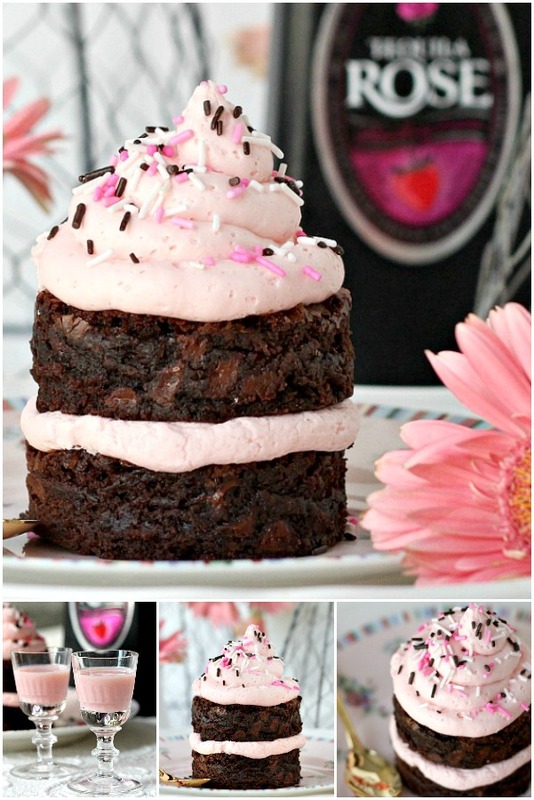 For fun, brownies and be cut into circles, hearts or other shapes using deep cookie cutters. 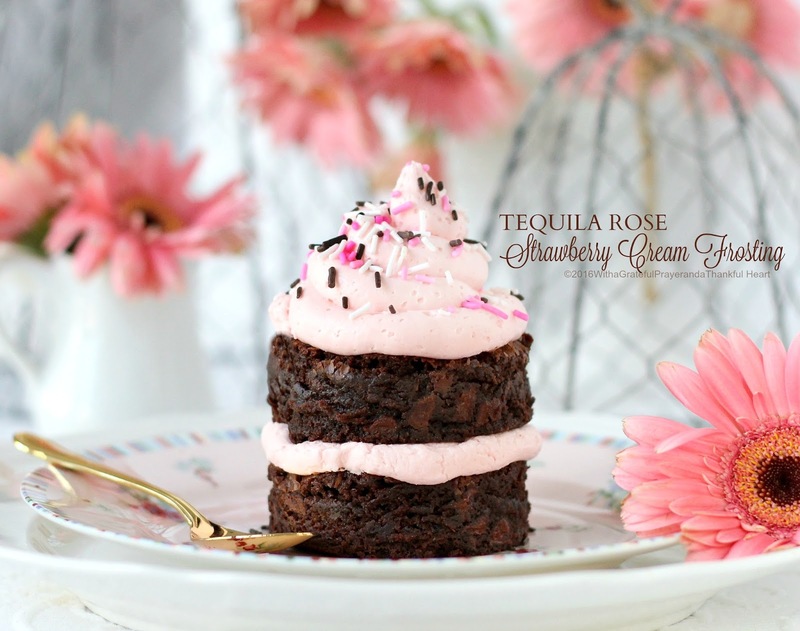 NOTE: Just before posting I searched Tequila Rose Strawberry Cream and found this recipe. Such a beautiful shade of pink! It looks so pretty. And I'm sure it tastes delicious. I have never heard of Tequila Rose but it certainly lyrics sounds lime it would be wonderful in icing! The dessert is so very pretty. 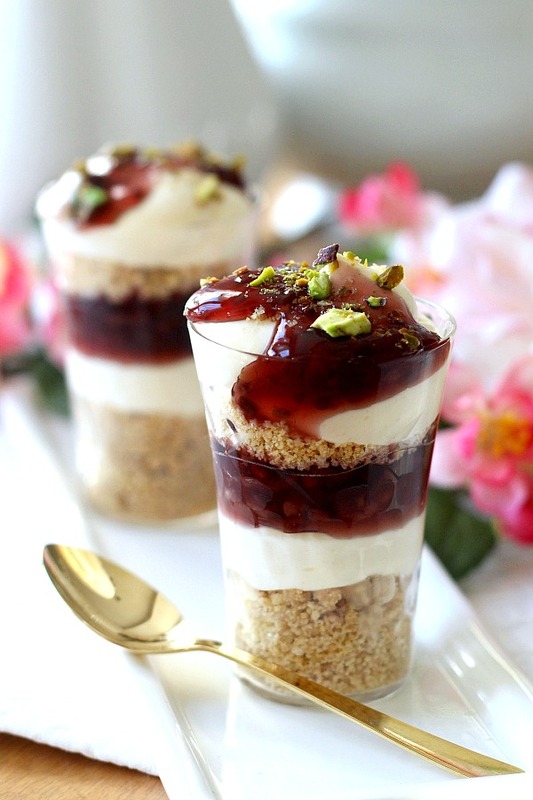 Such a beautiful dessert!! I love Tequila Rose so I will definitely try this. Thanks so much for sharing!